Personally, I hope I'm not still around for that. 2020, that is. No telling what kind of hideous world our species will have created. 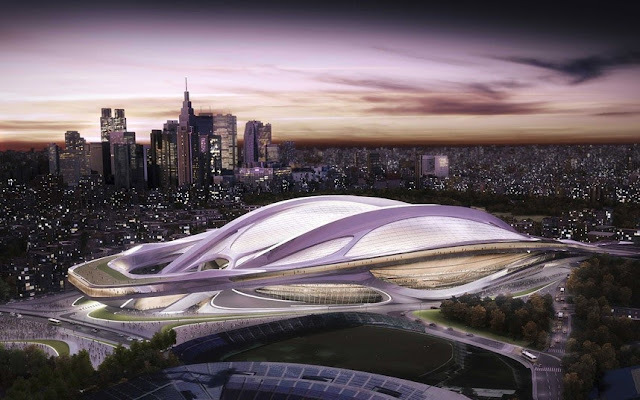 However, if we haven't destroyed ourselves and the 2020 Olympic Games occur, then I would be THRILLED to see that my favorite living architect, Zaha Hadid's and her firm's design for the main arena which will host the opening and ending Tokyo Olympics ceremonies (below). I may be wrong but this I think is the most prestigious commission in Hadid's portfolio, to date? It is quite space age looking. But what appeals to me about her firm's winning design is the undulating non-linear lines of the structure. It is wonderful. I visited Frank Lloyd Wright's Taliesen West for my birthday, 8/23. It was an epiphany for me. I will do a blog post with photos and brief comments soon. 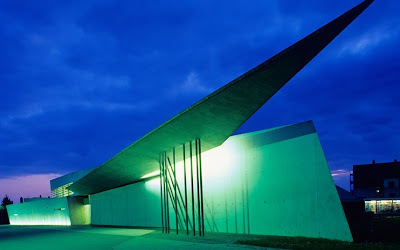 I read about this architecture design award in an article in http://www.telegraph.co.uk which is titled Zaha Hadid's greatest designs. I hope that this distinguished design award will bring her to the upper echelon of living architects and that we will see more of her truly genius designs. I'm adding a couple of more photos below from my Scottsdale, AZ Taliesan West visit which were evocative of Zaha Hadid's design. Would love to hear anyone's opinions. Although I haven't been through this building, I am wondering if it uses the "expand" and "contract" design element that I saw, and was astonished by at Taliesen West. Not quite as claustrophobic though! 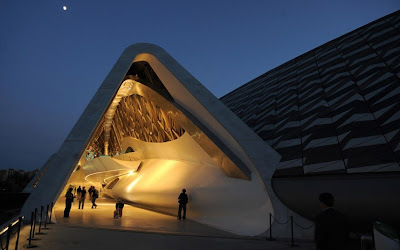 The building below is Bridge Pavilion, Zaragoza, Spain, which was constructed for the Expo 2008. This building acted as the main entrance to the Expo. In my uneducated view, this is Lloyd-Wright-esque in its design. Would love other perspectives? This amazing artistic experience is what I hope my experience will be like when I leave this world for either death, or to visit another planet. 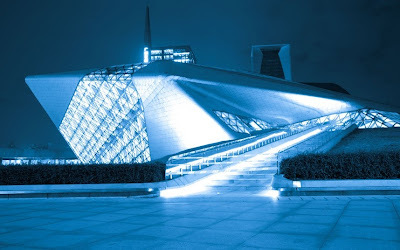 This is Guangzhou Opera House, China, built in 2010. It is comprised of granite, glass and steel structure and it took five years to build. The building below was Hadid's first completed structure in the US. 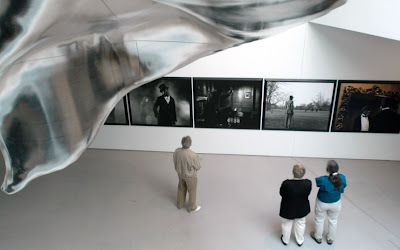 This is the Rosenthal Center for Contemporary Art, Cincinnati, Ohio built in 2003. According to the Telegraph article it is "
Hadid's first US project, described by New York Times architecture critic Herbert Muschamp as 'the most important American building to be completed since the Cold War.'"